Twilio plans to buy SendGrid in a $2 billion deal that underscores the continued importance of email in business communications and collaboration. SendGrid makes a set of cloud-based email APIs that businesses can use for sending transactional and marketing emails to customers, such as shipping notices and sales offers. Founded in 2009, the company claims its email APIs are used to contact half of the world’s digital users every three months. Twilio’s communications platform as a service supports voice, video, SMS, chat and social media channels — but not email. SendGrid’s email APIs will fill that gap, as the two companies pledged to release “a single platform for all customer engagement” after the deal closes in the first half of 2019. The acquisition comes as Twilio looks to expand its presence in the cloud contact center market. The company released a prebuilt contact center this week, Twilio Flex. It is a first-of-its-kind offering from Twilio, which had previously only provided the developer tools for building such a service. Twilio also appears poised to gain access to tens of thousands of new customers through SendGrid. Together, the companies said they would serve more than 100,000 businesses, compared to Twilio’s current figure of more than 40,000. Over the past couple years, largely following the lead of Slack, unified communications vendors have invested in team collaboration apps — like Microsoft Teams and Cisco Webex Teams — that were supposed to reduce the need for email, especially for internal communications. But a string of recent acquisitions proves that email will remain a valuable business communication tool for the foreseeable future. Last month, Slack bought startup Astro, maker of a chatbot that lets users check their email and calendars from Slack. Astro also makes an AI platform that helps people prioritize email inboxes and manage calendars. And over the summer, Facebook bought startup Redkix with the intention of integrating the technology with its business communication and collaboration platform, Workplace by Facebook. Redkix makes a platform that combines email and teams-based chat apps into a single interface. Vendors must come to terms with the reality that email is here to stay, at least until older generations exit the workforce, said Jon Arnold, principal of Toronto-based analysis firm J Arnold & Associates. It’s in a small compact case (similar size to a large console than a PC) and has been build with quality components. Today we’re excited to announce the newest evolution in our continued integration of LinkedIn and Microsoft Advertising. Available now for our current clients, we’re offering profile targeting that leverages LinkedIn data for search campaigns on the Bing Ads platform. With over 575 million global LinkedIn members, part of our vision has always been to bring together each company’s rich data and deep understanding of users to help our customers reach people in meaningful ways. Unique to the Bing Ads platform, this is a great opportunity for marketers to maximize their campaign spend with more precision-based targeting through the following three professional profile dimensions: Company, Job Function and Industry. We are making this easy for our clients to get started right away through the Bing Ads platform using familiar campaign creation and management tools. To start we’re offering bid only targeting, with exclusions coming soon. 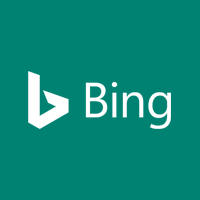 It works across text ads, shopping, and basically all Bing search products (available in the US only). We continue to innovate our products and platform, so our clients and marketing partners can gain the highest return on marketing investment as well as perfect the target audience reach best suited for campaign goals. Newcomers to PowerShell Core might wonder why there’s a pwsh.exe file when there’s a powershell.exe executable for Windows PowerShell. There’s a bit of backstory that explains why administrators should be aware of the two PowerShell executables on their Windows machines. Microsoft changed its PowerShell task automation framework to an open source project in August 2016 and ported it to run on Linux and Mac platforms. However, lost in the translation with the first official release of PowerShell Core 6.0 in January 2018 was full compatibility with all the cmdlets administrators had with Windows PowerShell. There were other breaking changes in PowerShell Core 6.0 that affected how IT workers managed their infrastructure, such as the removal of the workflow feature. Early on, the PowerShell team knew administrators with a heavy investment in PowerShell automation might need to work with both the Windows-only version and the open source PowerShell until the latter reaches feature parity. The team maintained this backward-compatibility by giving PowerShell Core a different executable name. Administrators who want to try PowerShell Core can still use the powershell.exe executable for Windows PowerShell while Core uses an executable named pwsh.exe. This arrangement allows users to run both versions side by side. Environments that depend on scripts that use features not yet implemented — or might never appear — in PowerShell Core can stay with Windows PowerShell, of which the latest version is 5.1, released in 2016. That’s not the only change. The project team also uses a different folder for PowerShell Core on Windows. For example, the path for the 64-bit, Windows-only powershell.exe is C:WindowsSystem32WindowsPowerShellv1.0, while for PowerShell Core 6.1 the path is C:Program FilesPowerShell6 for the pwsh.exe executable. Jeffrey Snover, Microsoft technical fellow and inventor of PowerShell, said while development for Windows PowerShell is over, Microsoft will continue to stand behind the deprecated version of its automation tool during a July PowerShell meetup in Boston. “It’s going to be supported forever. Don’t worry about that. But there will be no [further] feature development [for Windows PowerShell],” Snover said. Snover, who is also the architect of Azure Stack and the chief architect for the Azure Storage and Cloud Edge group at Microsoft, told attendees that he would have no qualms if administrators stayed with Windows PowerShell due to its deep functionality and continued support from Microsoft. However, Snover pointed out PowerShell Core runs the Azure Cloud Shell on Microsoft’s cloud platform, meaning administrators who want to use PowerShell to manage Azure workloads will need to familiarize themselves with how it differs from the Windows version, such as case sensitivity with files and the removal of certain aliases that conflict with Linux commands. The PowerShell team shrank the parity gap with the September release of PowerShell Core 6.1. The team says that version works with the more than 1,900 cmdlets that ship in the latest versions of Windows — provided users install the Windows Compatibility Pack for .NET Core on their machines. But there are still some important modules, such as the Active Directory module, that are not compatible with the 6.1 release. Netflix and Google’s Spinnaker pipeline tool has improved its integration with Kubernetes, which should add to its appeal within enterprise DevOps shops where Spinnaker has accelerated continuous deployment. Spinnaker pipelines are highly customizable, but default settings developed at Netflix can give less advanced DevOps shops a leg up as they implement continuous deployment for applications. Some users have replaced another open source pipeline tool, Jenkins, with Spinnaker because it was easier to use. However, previous integrations between Spinnaker and Kubernetes container clusters needed improvement, which was delivered this week. Version two of Spinnaker’s Kubernetes plugin, which is called a provider, integrates with the native kubectl command-line interface (CLI) instead of the previously used Java library, and adds support for custom resource definitions that facilitate management of third-party infrastructure components alongside Kubernetes. This means that the v2 provider automatically retrieves Kubernetes manifests for the container images a user wants to deploy, and generates multiple versions of those manifests for staging, QA and production environments as part of the Spinnaker pipeline. IT ops admins can also use the new provider to restrict developers’ access to Kubernetes clusters for security purposes. Google and Netflix also borrowed Kubernetes’ early-stage governance structure for the Spinnaker project this week. Under the new governance plan, the project will get two steering committees, one to oversee the overall project roadmap and another to evaluate technical strategy, which will open up Spinnaker pipelines to more contributors over the next year. This is a prerequisite to Spinnaker’s eventual donation to an established foundation, such as the Cloud Native Computing Foundation, its parent The Linux Foundation or another group, said Andy Glover, director of delivery engineering at Netflix. Netflix created the Spinnaker pipelines tool in 2014 for internal use, and Google joined the project when the continuous deployment software was released to the open source community in 2015. Netflix has long been seen as an elite user of technology. But since June 2017, and the Spinnaker 1.0 release, the Netflix pipeline approach has caught the attention of more earthbound enterprises. There’s work in the Spinnaker community on a way to say, ‘Deploy this thing, I don’t care how.’ … You can seamlessly update the ‘how’ under the hood as technology changes. “We made seven attempts at continuous deployment starting five years ago, and they all failed,” said Brandon Leach, senior engineering manager for continuous deployment at Lookout, a mobile device security company in San Francisco. Lookout found uneasy equilibrium for a while with four different Jenkins pipelines, but still searched for a better approach, which it found in Spinnaker in 2018. Vistaprint USA Inc., which custom-prints marketing materials for small businesses, replaced a continuous deployment system based on Atlassian’s Bamboo and Jenkins with Spinnaker pipelines. Vistaprint looked to replace its previous pipelines after under-provisioned Bamboo builds took longer than a day to spin up, and production releases got stuck waiting on those tests to finish. The company tested and compared Spinnaker vs. Jenkins combined with application deployment code written in-house, and Spinnaker won based on its ease of use. “I had a basic Spinnaker pipeline up and running in a day, and you could see it do [deployments] in another day and a half,” said Andrew Dobson, software engineer at Vistaprint, in Lexington, Mass., a subsidiary of Cimpress, based in the Netherlands. Spinnaker pipelines can abstract nitty-gritty infrastructure configuration tasks away from DevOps teams, but users can also tinker with Spinnaker’s code. Lookout’s Leach wrote his own infrastructure provider for Spinnaker to support a container orchestration environment on Amazon ECS instead of Kubernetes. Schibsted’s Rimestad blended Spinnaker pipeline tools with his company’s own open source deployment daemon. Spinnaker pipelines help enterprises navigate the early stages of continuous deployment, but as users grow more sophisticated they look for more features, such as automated evaluation, promotion and rollback of software artifacts in the Spinnaker pipeline before the continuous integration stage. Users also said the tool could improve its API support for stateful app deployment, and stabilize and simplify the CLI for Spinnaker pipelines. Many are eager to get their hands on declarative pipeline tools still at the alpha stage within Netflix. The Spinnaker pipeline roadmap also includes the artifact promotion features, enhancements to make the alpha version of the CLI easier to use, and updates for stateful application deployment APIs requested by users, the project’s maintainers said.